YIC members manage the ambulance service in Sarmalauk. The latter part of the year saw Win Naung and his like-minded friends hold successive meetings with village elders, also attended by U Zaw Naing and YIC members. 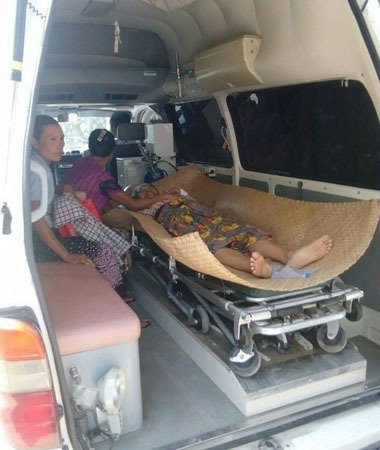 The village agreed to provide the funds to purchase the ambulance, on the condition that it was managed by the YIC. Zaw Naing said: “We were thrilled. It showed the magnitude of trust they put in the YIC. So, we agreed to manage the ambulance service. I helped to get the necessary documents so that the YIC could legally own the vehicle.” The ambulance was purchased and in service by May of this year. The Sarmalauk ambulance can mean the difference between life and death for the patients it transports.